Beware, Santa Monica parking enforcement agents do their job well. As most Akasha office visits surpass the one hour limit, we ask that visitors of Akasha Center do not park in the 1 hour metered parking in front of the office. Two hour free parking is available in the structures on 4th Street. There are some two hour metered parking spots on Arizona, east of 6th Street. 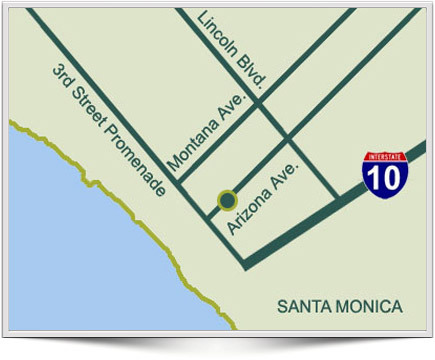 An underground parking structure can be accessed from 7th Street between Santa Monica Blvd and Arizona Ave. The structure has 525 parking spaces on three levels and is open from 8am to 11pm daily. Real-time parking space availability for the structure can be viewed on the City’s Transportation Division website. Click on pL. Rates are $1 per hour with a $5 daily maximum. The first thirty minutes are free. Parking on level P1 is restricted to stays of three hours or less. Parking spaces for those displaying disabled placards or plates are on P1. Visitors parking for three hours or longer should park on levels P2 or P3.